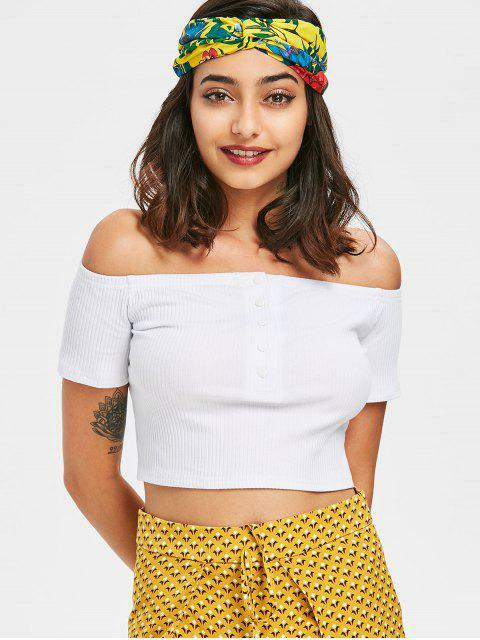 [42% OFF] 2019 Buttoned Off Shoulder Tee In WHITE | ZAFUL .. This simple plain tee with short sleeves features an off the shoulder collarline, half-button design at front, and an alluring cropped length, in a fitted silhouette. The modern ribbed detail adds glamour and fashion. Match it with denim shorts for a relaxing summer look.